As part of the Office of Foreign Labor Certification's (OFLC) on-going efforts to increase public engagement, the OFLC will host webinar on Thursday, May 18, 2017 designed to educate stakeholders, program users, and other interested members of the public on recent program workload trends, common deficiencies and best practices associated with employer request for H-2B prevailing wage determinations (PWDs). Late yesterday, Congress reached a bipartisan agreement on a bill to fund the federal government through September 30, 2017. 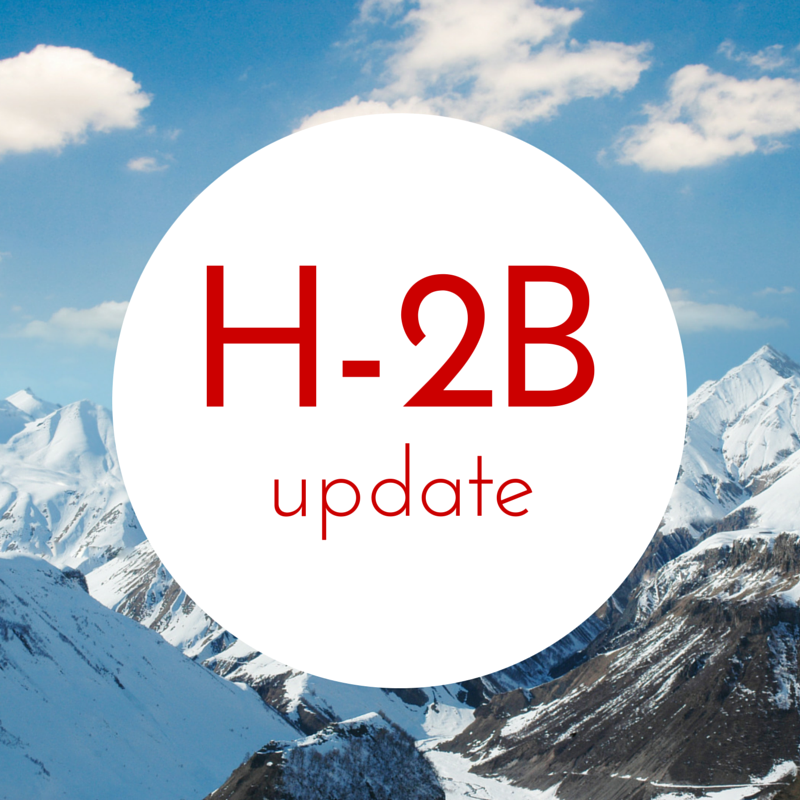 Thanks to a massive effort from everyone in the H-2B community, the bill contains limited H-2B cap relief. As you recall, ALCC participated in last week's H-2B Advocacy Day in DC-earning a mention from National Association of Landscape Professionals for our efforts. We are proud of the work we've done but recognize that there is still more work to do to create meaningful H-2B reform. “On behalf of the H-2B Workforce Coalition and the thousands of small businesses that rely on legal, highly vetted seasonal guest workers to meet their peak season needs, we thank congressional negotiators for including critical cap relief in the Fiscal Year 2017 spending package. We will have another week to push for H2B cap relief. Please keep up your outreach to your lawmakers. STOPGAP FUNDING: The House plans to vote on H.J. Res. 99, which would extend government funding through May 5. The continuing resolution would keep in place the terms of two previous CRs, Public Law 114-223, which ran through Dec. 9, and Public Law 114-254, which runs through today. Funding under the CR would be at an annualized rate of about $1.07 trillion. The measure also would extend health-care payments for retired coal miners. 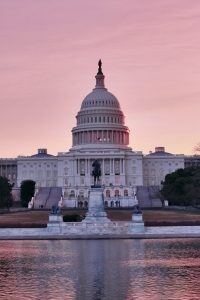 Can't attend the H-2B fly-in? You can still help. Please reach out to your Senators this week and ask them to sign the letter (download here ) that Senator Flake (R-AZ) is circulating. It will be sent to Senate Majority Leader McConnell and Senate Minority Leader Schumer on Friday. Current signatories on the letter are Senators Tillis (R-NC), King (I-ME) and Sullivan (R-AK). Please call your Senators today and urge them to sign onto this important letter asking for Congress to re-instate the H-2B returning worker exemption. HB 1061 and HB 1105 were signed into law in Colorado during the current legislative session. HB-1061, created by Colorado Motor Carriers Association and sponsored by Reps. J Becker & Melton and Senators Scott & Todd, defines commercial vehicles at a weight of 16,000 pounds rather than at 10,000 pounds due to the state mandates. HB 1105 narrows the circumstances in which physical inspection of a vehicle is required before issuing legal documentation identifying the vehicle. If the vehicle was purchased from an out-of-state owner/dealer, an additional VIN inspection in Colorado is no longer required. From July 16 to 19, ALCC will welcome a delegation of members to Washington, D.C. for the landscape industry’s 2017 Legislative Day on the Hill, presented by NALP. This trip is an opportunity for ALCC members to get to know their Congressional representatives and make their concerns heard. It’s also a chance to learn more about ALCC leadership and see how rewarding it can be to get involved. Please email the members of the House State Affairs Committee asking that they support SB 156 so it can move to full vote on the House floor. The House State Affairs Committee will hear SB 156 on Wednesday. This comprehensive defects reform bill is backed by the Metro Mayors Caucus, which represents 40 mayors and millions of constituents. It is also supported by the Colorado Municipal League, Habitat for Humanity and Housing Colorado, among others. And SB 156 passed the Colorado State Senate with bipartisan support. Urge the Senate Appropriations Committee to oppose SB 45! 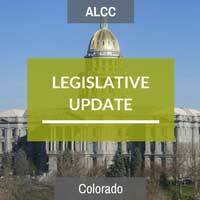 While ALCC supports Colorado construction defects reform, Senate Bill 45 does not provide much-needed protections. The bill will continue to block the construction of attainable housing in Colorado by stripping legal protections put into place by state law and adding another lawyer of litigation on already over-burdened courts. This bill also puts the interests of insurance companies ahead of the insured and hurts construction professionals, who must buy costly insurance to stay in business. Please see the letter to Senate Majority Leader McConnell and Senate Minority Leader Schumer that Senator Flake (R-AZ) is circulating. Please contact your Senators ASAP and ask them to sign onto this letter in support of renewing the returning worker exemption.